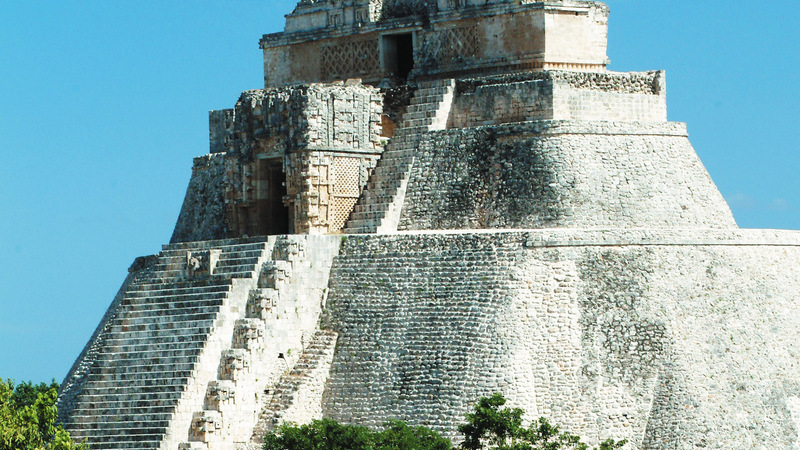 The archaeological site of Uxmal – “The thrice built” is a masterpiece of the Puuc style. 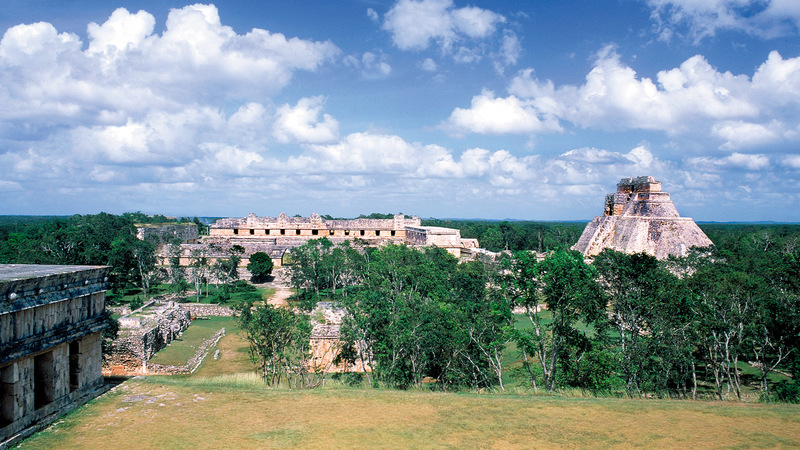 This Mayan site is located next to the only mountain range of the Yucatan and very close to the state of Campeche. The Governor’s Palace, the Nunnery and Sorcerer’s pyramid are among the most important buildings. 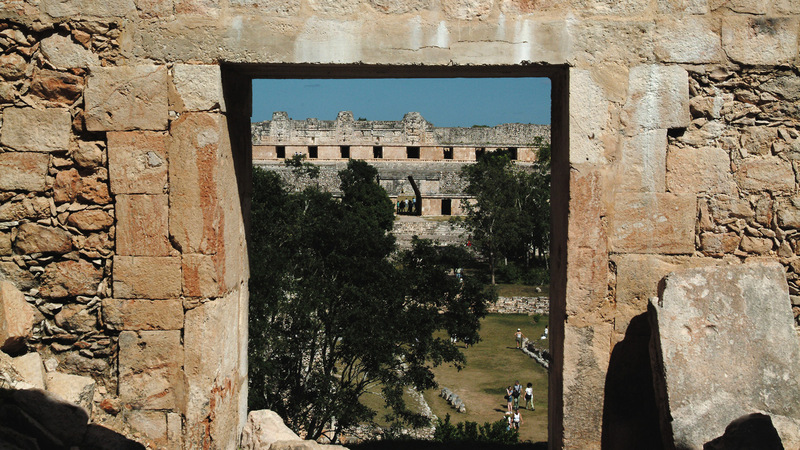 The Mayan word Puuc means mountain range. This architectural style is characterized by elaborate geometric patterns on the upper section of buildings, contrasting with very austere lower sections. Climbing the “Gran Piramide” allows for a panoramic view of the citadel. Follow the path to the magnificent chambers and hear the legends and secrets explained by the local guides. After your visit to Uxmal, continue the Puuc route to Kabah, or visit the Cacao Musuem across Uxmal: taste chocolate mixed with pepper and other spices, understand the importance of cacao in the Mayan culture. After your visit, we recommend you have lunch at charming San Pedro Ochil Hacienda, a former sisal plantation. Time permitting, Yaxcopoil Hacienda can also be explored as the final stop before heading back to Merida. If you wish the extended version of the Puuc route including Sayil, Labna, X’lapac and/or Loltun Caves please send us a message.